In his celebrated play Eden, Eugene O’Brien brings to vivid life a gallery of colourful midland characters at play. And at the heart of that world is a moving , funny and tragic portrait of the failing marriage of Billy and Breda and the weekend that will make or break them. 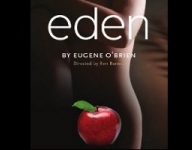 From the author of RTE’s Pure Mule, Eugene O’Brien’s play Eden was first directed by Conor McPherson and premiered at the Abbey in 2001 under the Abbey directorship of Ben Barnes. 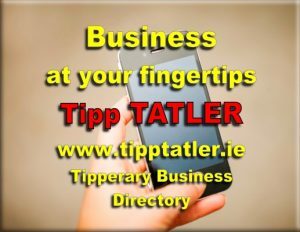 The play went on to win Best New Play at the Irish Times Theatre Awards and Best New Play for the Stewart Parker Awards then transferred to London’s West End. It has been translated and performed around the world and was turned into an award-winning film in 2008. Ben Barnes returns to Eden with the Theatre Royal Waterford and with the team that brought you the The Beauty Queen of Leenane in 2010. Don’t miss this powerful story of an ordinary relationship on an extraordinary weekend. “Ye wouldn’t score in a brothel with a ten pound note stuck to your lad!